EU’s Response to Foreign Fighters: New Threat, Old Challenges? The conflicts in Syria and Iraq have put foreign fighters—individuals travelling from other countries to engage in these conflicts—high on the security agenda at both the national and EU level. 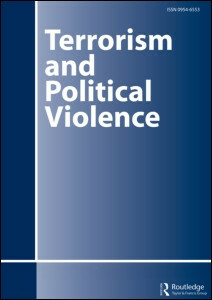 Drawing on theoretical arguments previously advanced to explain the haphazard evolution of the EU’s counterterrorism efforts after September 11, 2011, this articles discusses the emergence and persistence of key challenges that have hampered the EU response to security threats posed by 5,000 European foreign fighters between 2013 and early 2017. These include the absence of a common EU-level definition; the differences regarding the scope and perceptions of the threats posed to individual Member States; the lack of consensus on root causes of terrorism and radicalization; and the differences among Member States when it comes to addressing the difficulties of criminal prosecution of foreign fighters. Previous story Is the Enemy of My Enemy My Friend?